Anya (Araya A.Hargate) or nicknamed Anko an outspoken girl working for Head Hunter which is a company that does everything to obtain valuable personnels from one company for its customer. Anya is assigned to make Dr. Saen Pueannadee (Theeradej Wongpuapan) quit his job at Piangpordee company. Dr.Saen is a charming PhD doctor that graduated in genetic engineering from the States. The other company needs him so badly but he insists on working for the non-profit company like Piangpordee. Anya applies to be Dr.Saen's secretary. There have been several people quit this position before her. Not only that his secretary had to tolerate a lot of outdoor works (in farms, etc), they also couldn't tolerate troubles caused by all the girls around Dr.Saen. From a member of a royal family, a superstar actress to a daughter of a village leader, these girls give Dr.Saen a headache every single day. He likes the fact that Anya can actually help him from these disturbing girls. 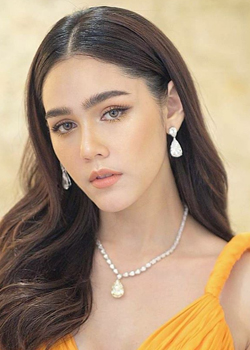 In order to make Dr.Saen quit and move to her customer company and earn her a 200,000-baht commission and a vice manager position, Anya really wants to complete the mission. But when she meets and gets to work with Dr.Saen, she realizes why Dr.Saen wants to work with this small company and somehow her fondness of Dr.Saen increases everyday. Still, her mission has to be completed and finally she did it against of her wish. Anya goes to confess her false to Dr.Saen and due to the dissapointment, Saen leaves without telling. Anya decides to follow him to his strawberry farm and go after her taken-away heart.